Clients Blog Testimonials Podcast Media Book Riley! University of Minnesota at Mankato. Riley Jensen is currently the Mental Performance Coach for Weber State University Athletics. He is the director for Sport and Performance Psychology for Team X Alpine Ski Team. He is currently a Mental Performance Coach for USA Archery (Para), Westminster College Basketball, Westminster College Volleyball, Rowmark Ski Academy, Peak Ski Academy, The Dunk Camp, Juan Diego Baseball, East High Basketball, Hillcrest Basketball, Alta Wrestling, Copper Hills Lacross, and Olympus Lacrosse and Soccer. Riley tutors various individual athletes from the pro, collegiate, and high school ranks. Riley works with corporate athletes from the Utah Jazz ticket sales and sponsorship team, Boston Scientific, Michelin, Wise Company, Fusion Imaging, Tiny Hero Foods, Inwise Title, and NorQuinn. Riley has a unique enthusiasm and ability to teach the concepts of resilience, confidence, positivity, grit, and personal mastery. He is available to athletes at all levels, all sports, for coaches, organizations, and businesses. He is perfect for motivational seminars designed to help individuals, teams, and businesses reach their maximum potential. Riley has been playing or coaching high school and collegiate football for more than 27 years. 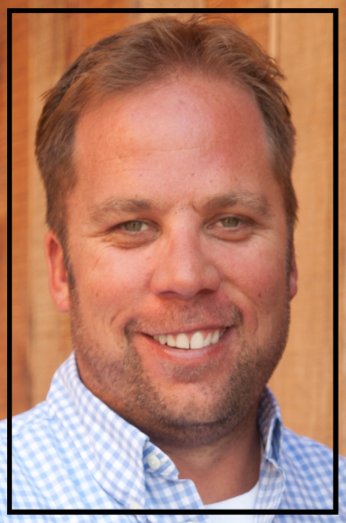 Over the past (8) years he has been part owner and co-founder of the Mountain West Elite sports camps which operate in several states. Riley started as a quarterback at an NCAA D1 school (USU), was named 1st team junior college All-American QB (Snow College, where he was recently named to the Snow College Football Hall of Fame), coached football at a Division 1 program (NC State), and has coached several successful Salt Lake City area high school teams (Cottonwood, Olympus, Alta). Riley earned a B.A. from Utah State University and completed his MS in Sport and Exercise Psychology at the University of Utah. He studied under the world-renowned tutelage of Dr. Nicole Detling, and interned with the University of Utah’s football and tennis teams. Riley currently lives in Salt Lake City, Utah. When Riley is not working, he enjoys hiking and time spent his wife Georgann, and their two children Alexis (6) and Jack (4). Jared earned his BS in Psychology from Brigham Young University while playing inside linebacker on the football team. After having his football career cut short due to several knee injuries, he found a way to apply his passion for sport in another way and decided to pursue an education in Sport Psychology. Jared is currently finishing his MS in Sport and Exercise Psychology from Minnesota State University, Mankato and has spent the past two years teaching sport and exercise psychology principles to various high school and collegiate athletes and coaches throughout the states of Minnesota and Utah. His knowledge, experience, and expertise as a former athlete and current Mental Performance Coach is a welcomed addition to Riley Jensen Consulting. Jared is a former state wrestling Champion and All-State Linebacker, but feels that his greatest accomplishment thus far in his life was convincing his wife to marry him. He currently resides in Provo, Utah with his wife, Savannah, and his daughter Charlotte (2).